Get your office legos and your good memory vacuum dust. 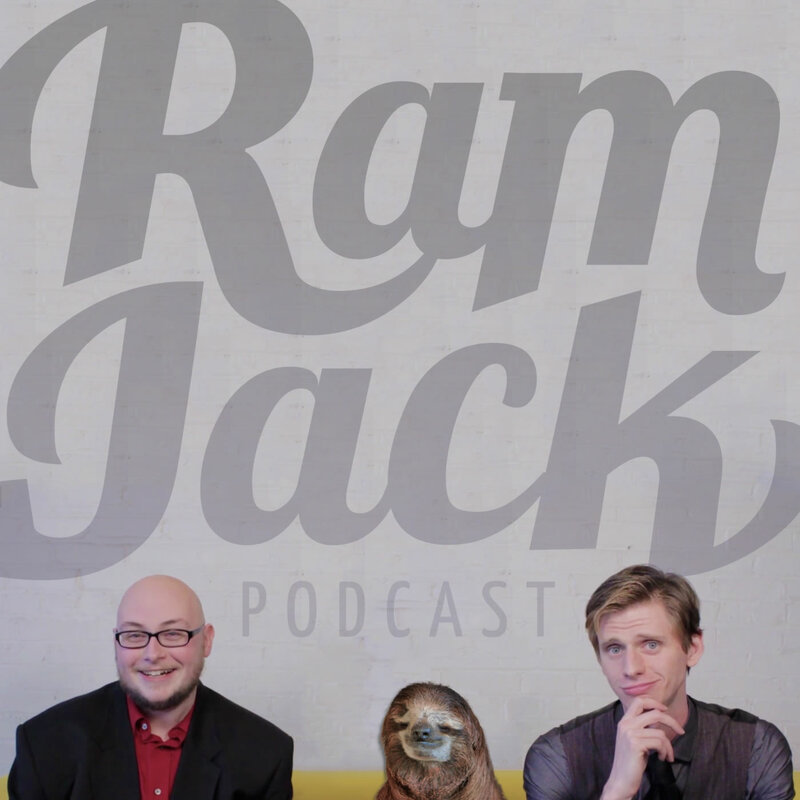 It’s time for an exciting episode of Ramjack. Brad reports on the greatest episode of Hoarders ever. Ponderosa Jon checks in on our old unnamed friend who is taking a literal bold stand. Where standing behind a column is not walking out. In this scandalous episode 300 celebration we discuss the unwieldy nonsense that is the film? Suicide Squad. Alex has a new comedy partner and will be touring AutoZones across the country. Brad relates a tale of tears and kicking sand in people’s face. Where variety is the spice of comedy. Criminals and monsters are running amok in Orlando and Brad is a citizen hero. Alex is trying not to get scammed by educational investment shenanigans. We discuss Rogue One for a taste and are relieved that George Lucas isn’t allowed to make Star Wars anymore. Where monsters are always on notice. We survived the holidays. Alex is creating magical cinematic moments. Brad is encountering biker Santas with no respect for proper garage use. We dip into the Larger Locks Literary Lounge to discuss an airline murder mystery. The Bing translator wrecks havoc on the films of 2016 and we crown a new World’s Greatest Human. Where playing pilot is the worst way to die.